Enjoy authentic contemporary Santa Fe style, views and privacy! 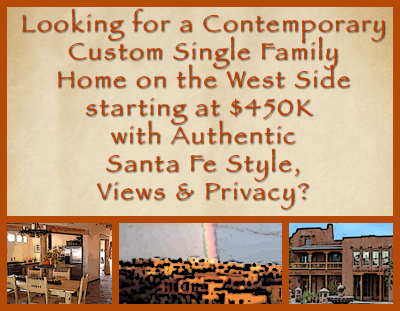 New Custom Single Family Home Opportunity in Santa Fe Starting at $450K. Over the last several years, Dianne McKenzie of Equity New Mexico, has had numerous conversations with home buyers looking for the perfect single-family Santa Fe vacation home or primary residence in the price range of $450,000 to $550,000. They want to live the gracious upscale Santa Fe Lifestyle in a safe neighborhood that our west side location offers in Aldea, Tessera or Las Campanas. They also often come from out-of-area real estate markets where the home values are substantially less than the average price of a Santa Fe home. 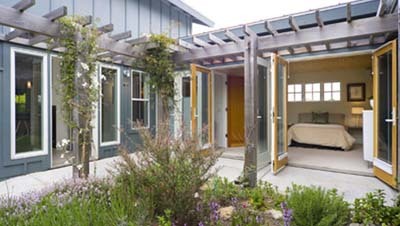 Or they would like to downsize from a larger home to a more affordable high-quality smaller home that requires less upkeep. Answering this call, our professional team now offers to-be-built single-level homes that are custom designed to fit each of our client’s unique lifestyles and needs. 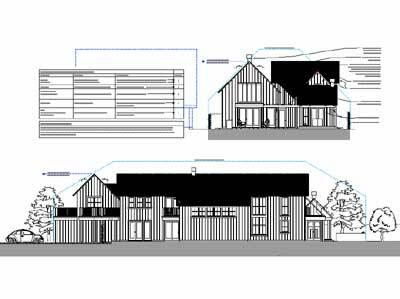 Our designs usually start with 2 bedrooms, expandable to 3 or 4 bedrooms, where one of the bedrooms can be configured as a courtyard accessed casita. 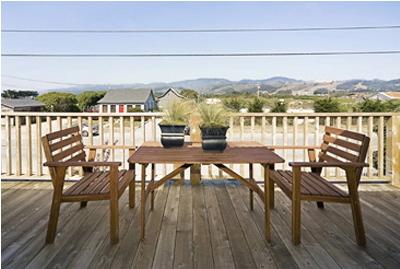 Gracious “Great-Room” living & dining with viga/beam ceilings and big views. wonderful potential for beautiful low maintenance landscaping with a storm water fed irrigation system. 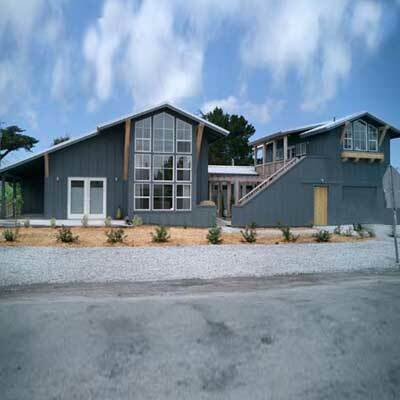 energy efficient passive solar design with radiant heating and optional air conditioning. 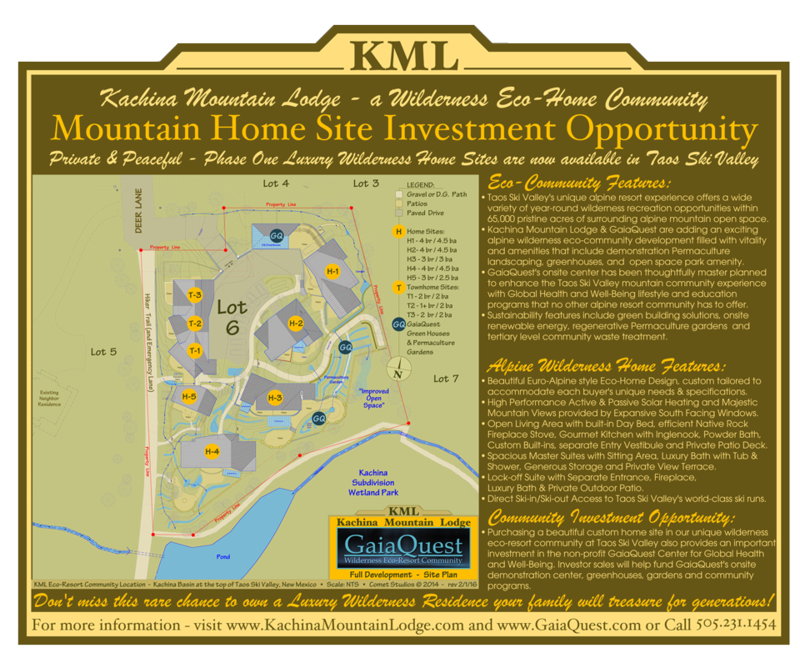 Private sunny Lot with dramatic vistas across permanent open space to beautiful expansive mountain views. Common options include fireplaces, upgraded finishes and many other custom feature opportunities. For a limited time, we are presently offering two outstanding opportunities to create and own the perfect single story home of your dreams with views, privacy, Santa Fe style, on a smaller and more affordable scale, with clever space saving solutions, custom tailored each clients unique needs and requirements. 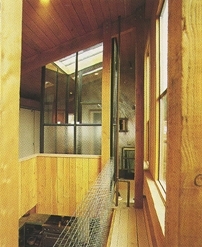 Our design team at Comet Studios specializes in providing environmentally conscious planning, design & development services for a wide variety of regeneratively-sustainable project types – from small cabins to custom homes, custom estates, mixed-use commercial projects, land development projects, and eco-community real estate developments. To learn more, contact Dianne McKenzie, of Equity New Mexico. We are readily available by cell phone, text, & email. We returns calls promptly, seven days a week! Call for a consultation today: 505.603.9300 or email via our contact form ».